Imagine the roaring shout of the crowd as you enter the arena. Are you the underdog challenger or the experienced champion? This decision rests upon your shoulders as you protectively cover them with the Lorica Spaulders. 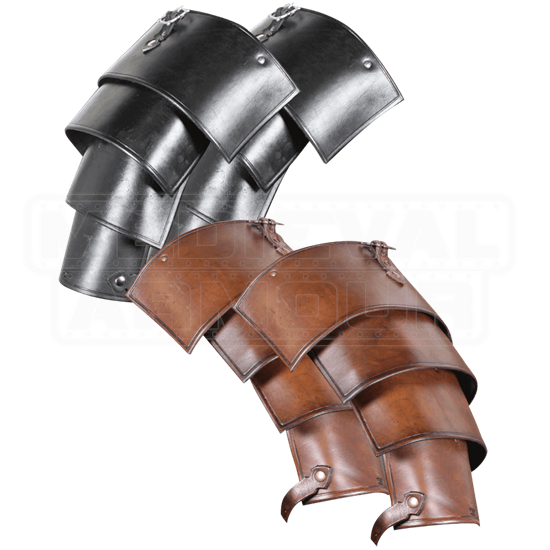 The durable design of these leather shoulder guards make them perfect for LARP and other reenactment activities. Four leather segments are flexibly linked together to form each spaulder. 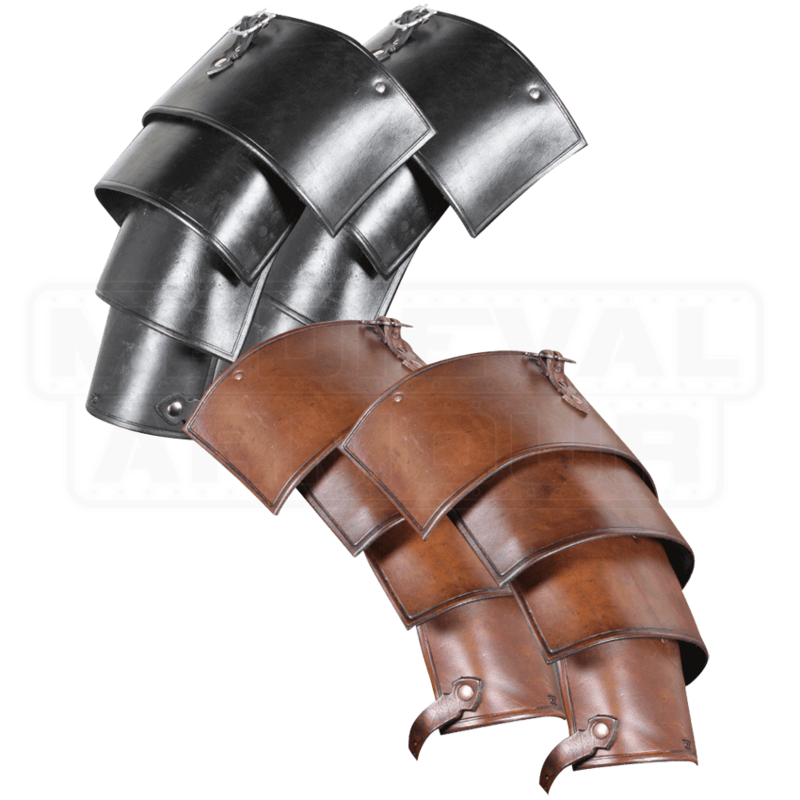 Easily secure them to your body armour via the top buckles. Enjoy the look and feel of this Roman inspired pair when you wear them to your next battle.